Foodpanda has clarified that a masked delivery rider who was accused of being an imposter pretending to deliver food for unknown reasons is indeed registered with the company. 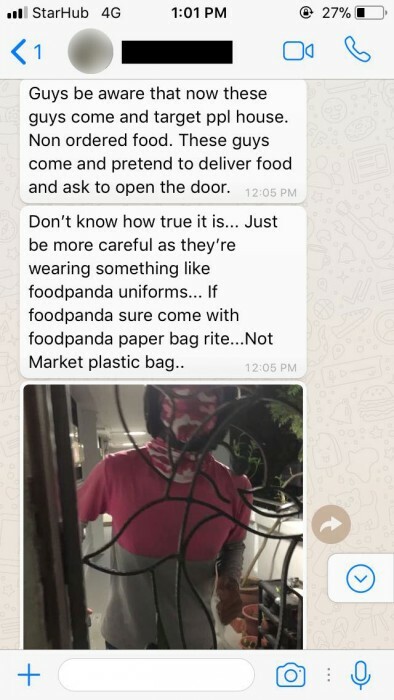 Stompers LinD and Azlinda alerted Stomp to a photo of the man wearing a pink and grey foodpanda shirt and a pink bandana covering his face that has been circulating online. "Be aware that now these guys come and target ppl house (sic). 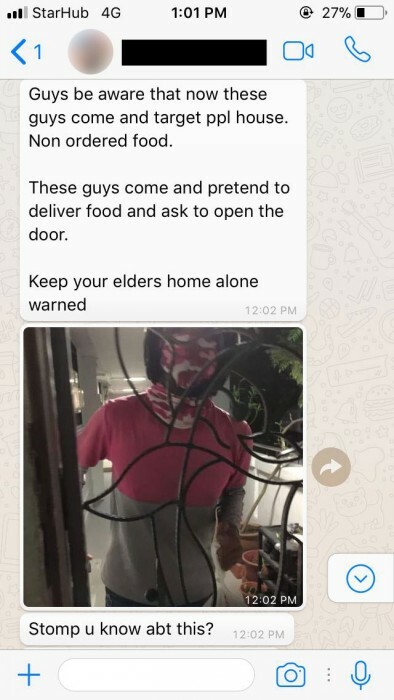 "These guys come and pretend to delivery food and ask to open the door." A Foodpanda spokesman told The Straits Times that it confirmed a registered Foodpanda rider made an attempt to deliver food on Saturday to a Singapore resident who had not made an order. "The rider was responding to an incorrect delivery address entered into an order by a Foodpanda customer," said the spokesman. "We sincerely apologise to the recipient of this incorrect delivery for any inconvenience caused."